Enquanto proprietário de um veículo Valtra, beneficia da poderosa organização de apoio ao cliente da AGCO. State-of-the-art warehousing and logistics ensure fast and guaranteed parts and service support. Parts are supplied by AGCOs Global parts operations which operates 24 hours a day. 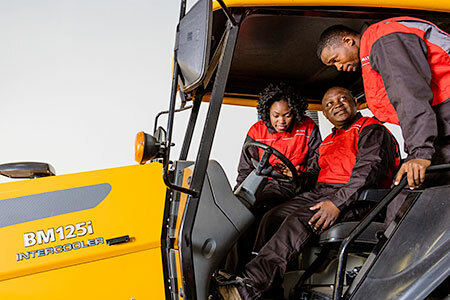 The AGCO parts label ensures that you are getting original Valtra spare parts that have been thoroughly inspected and tested. Valtra’s service level includes parts even for older models such as Valmet and Valtra Valmet. If the engine or transmission in your tractor comes to the end of its working life, you can order remanufactured parts directly from Valtra. At the factory we disassemble your old engine or transmission, replace damaged or worn-out parts with new ones, calibrate the components and offer a factory warranty on our work. Valtra remanufactured gearboxes are an inexpensive and fast alternative for possible transmission repairs. Each gearbox is as good as new, expertly assembled, quality-checked and equipped with all the latest upgrades - all for around 60 percent the price of a comparable new gearbox. At the factory the old gearbox is taken apart, washed and inspected. Any defective parts and all bearings are replaced with new ones by professionally trained transmission specialists. Undamaged parts that are still in good condition are reused if possible. The gearbox is then reassembled, painted and tested. All available upgrades are also made. Remanufactured gearboxes come with the same one-year warranty as new ones. 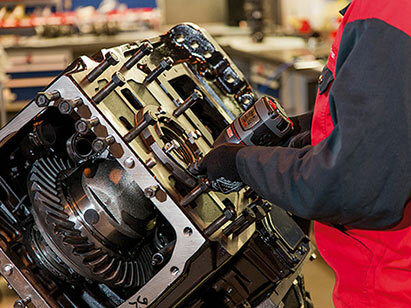 Valtra currently offers around 20 types of remanufactured gear-boxes, including those for the N and T Series, 6000 and 8000 Series, and 100 Series. With regular and good maintenance a tractor engine can last for more than 15.000 hours. When an engine needs to be replaced, a remanufactured engine from the factory can be an environemtally-friendly, affordable and fast alternative. The cost of a remanufactured AGCO Power engine is 20-40% below that of a new engine. The AGCO Power factory in Finland reconditions about 1000 engines every year. The block of the old engine is checked and washed. Also the crankshaft and connecting rods can be reused if they pass the strict quality checks at the factory. All wearing parts such as pistons, cylinder liners, bearings, seals and lids are replaced. Each remanufactured engine is as good as new and it undergoes the same tests as a comparable new engine. AGCO Power offers remanufactured engines for nearly all of its models. The factory warranty is the same as for a new engine. 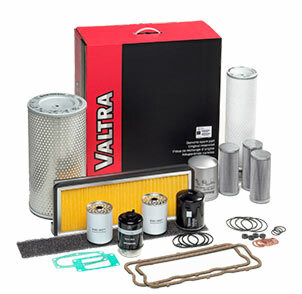 Valtra service kits are designed for complete scheduled servicing of your tractor. Valtra service kits are convenient. 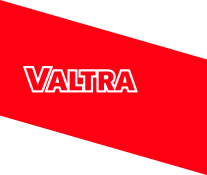 Simply collect the box from your Valtra spare parts outlet or affiliated service representative. Everything you need is neatly packaged – and less expensive than if the parts were purchased separately. You save time, trouble and money. Available for most Valtra models. In addition to the Valtra service kit, all you need is Valtra lubricants and fluids. The service kit comes with a handle, making it easy to carry to the service area. All necessary parts can be changed at the same time – when the box is empty, you know everything has been taken care of. 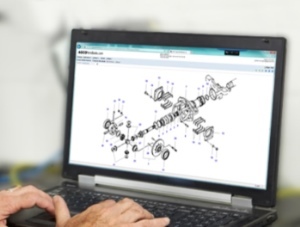 AGCO Parts Books is our on-line parts catalogue which allows you to easily find part information for your Valtra machine. A AGCO Parts Books To Go™ é a nossa aplicação para dispositivos móveis, permitindo-lhe aceder a informações sobre as peças sobresselentes para a sua máquina da Valtra em qualquer altura. A AGCO Parts Books To Go™ está disponível para as plataformas Android e Apple iOS (iOS 6 ou posterior) em 40 países e 14 idiomas diferentes. Descarregue-a hoje mesmo para o seu dispositivo da Apple através do Apple Store ou Google Play Store e contacte o concessionário da Valtra para obter os seus dados pessoais de início de sessão.